Hang out with Stephanie R. Bridges and the Bridges Book Club for our 1st in-person Author Appearance and Interview. 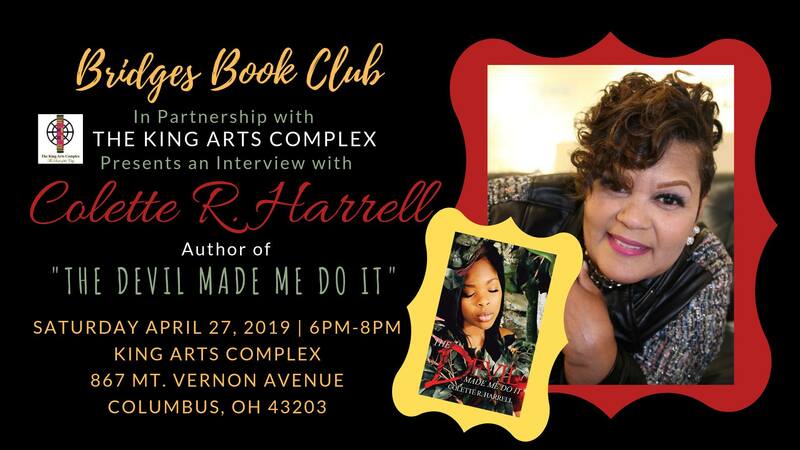 Colette R. Harrell will be reading from her book(s) and has other special surprises in store. Enjoy Light Refreshments and a Bag Full of Swag! This Event is in Partnership with the King Arts Complex. Tickets are on sale now! $10.00 on Eventbrite. RSVP here.